There is something special about Bay Harbor. Boaters at the marina are attracted by more than the first-class amenities the marina offers – they enjoy being a part of the community. Shared cookouts, dock parties, and day trips make the marina feel more like a neighborhood. Named one of “10 Best Family-Boating Resorts” by Boating Life, the marina is also a certified Michigan Clean Marina. With the expertly trained staff to provide docking assistance and waterside concierge services, boaters can enjoy a stay either seasonally or as a transient. 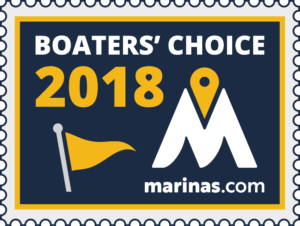 We are also excited to share that Bay Harbor Lake Marina was named a 2018 Boaters’ Choice marina by Marinas.com! Thanks to your patronage and positive feedback, we are among the top 2% of US marinas listed on Marinas.com. Check out what other boaters are saying about Bay Harbor Lake Marina on our Marinas.com profile page. And for the full list of Boaters Choice marinas, head on over to the Boaters’ Choice winners page on Marinas.com. 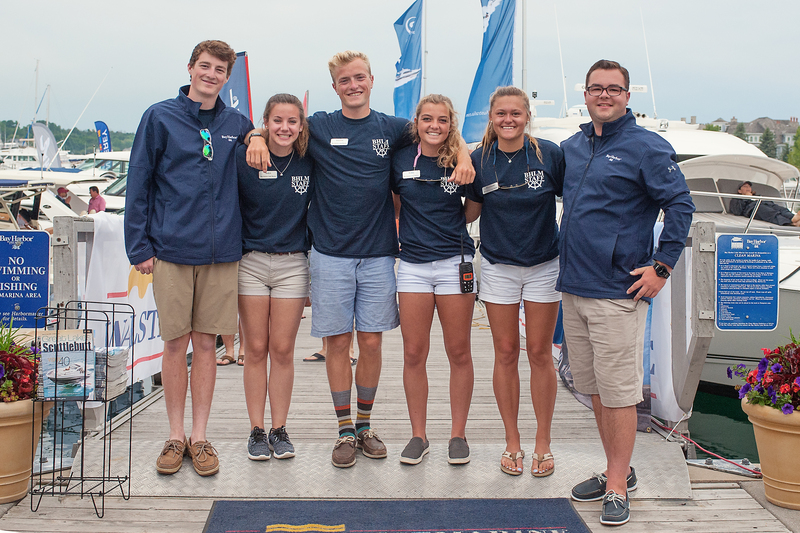 Set a course for Bay Harbor Lake Marina, the Nautical Center of the Great Lakes. You will soon discover all the charm and magic of the Village at Bay Harbor! Anyone who comes into the Bay Harbor Lake Marina is guaranteed top notch assistance and amenities. 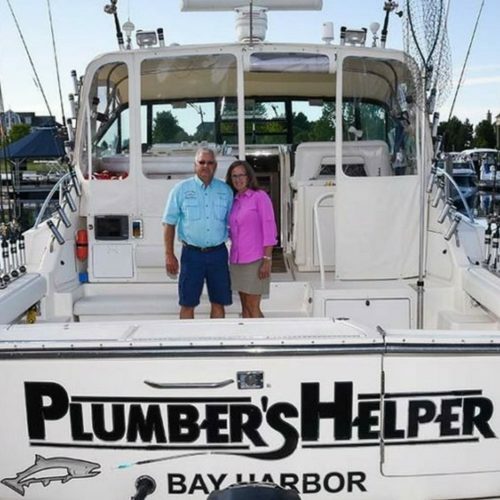 The professional staff of the Bay Harbor Lake Marina is prepared to accommodate the varying needs of boat owners, captains, crew and guests. You will be taken care of from the moment you enter the pristine waters of Bay Harbor Lake until you return to Lake Michigan. Unique shopping and restaurants are just steps away, as well as a photography studio, salon and interior design services. Also on site is a 27 hole championship golf course and a Swim & Fitness Club. To inquire about dock reservations or more information, please call the Harbormaster Office at 231.439.2544. Our charters at Bay Harbor Lake Marina are a wonderful way to spend a morning or afternoon fishing out on Lake Michigan! It’s the perfect trip for family and friends – don’t miss out on reeling in the big ones. Call one of our Fishing Charters today for some fun out on the water. 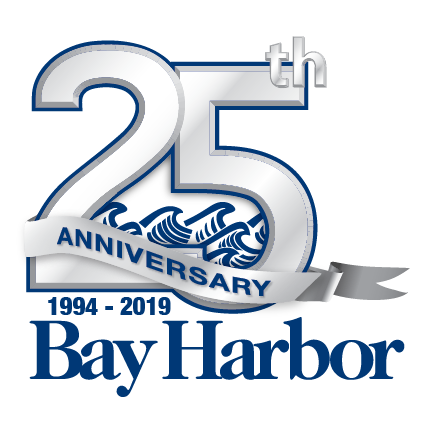 Bay Harbor Lake Marina received the honorable designation of a Michigan Clean Marina by the Clean Marina Program (CMP) Committee. 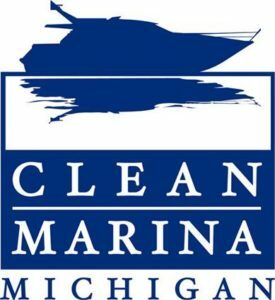 The Clean Marina Program (CMP) is a joint undertaking by the Michigan Boating Industries Association, Michigan Sea Grant, and the Michigan Department of Environmental Quality. It is the policy of a clean marina to protect the health of boaters, staff, and the environment by preventing the discharge of pollutants to the water, land, and air.